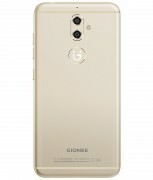 As planned, the Gionee S9 was made official today in China. Hard to call flagship-grade, the phablet packs some interesting hardware nonetheless. 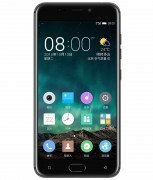 The specsheet starts with a 5.5-inch FullHD display and goes on to include a Mediatek P10 chipset - both carried over from the S8. Not entirely though - while the display numbers are the same, the S9 makes a switch from AMOLED to LCD. RAM and storage have been kept at 4GB and 64GB respectively. Another area where the S9 deviates from its predecessor is the imaging department - the S9 joins the dual camera bandwagon. On its back there is a 13MP/5MP pair with a focus on producing depth of field effects. Meanwhile, selfies are taken care of by another 13MP cam. 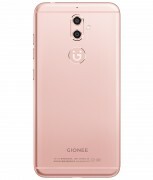 The Gionee S9 measures 154.2 x 76.4 x 7.4 mm and weighs 168g - so it is physically different from the S8. The 20g of added weight doesn't mean more battery though - capacity is still 3,000mAh. 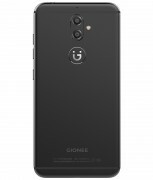 The Gionee S9 is listed for pre-order in China at CNY 2,499 ($364). It'll be available for purchase 10 days from now, on November 25. Sorry buddy, but this time it's only you! !